Mumbai’s local fare is often referred to as western coastal Indian or Maharashtra cuisine, both of which are broad, encompassing terms. These are relevant, however, since the city lies at the western coast of India and is the capital of the Maharashtra state. But the reality is that with its migrant workers, expatriate residents and well-travelled locals, there are dishes that may be popular in Mumbai but with origins elsewhere in India. Seafood, prepared in the western coastal style, is much loved by locals. King crabs, jumbo prawns, lobsters and local pomfret or king fish are extremely fresh and can be prepared simply, with butter and garlic or with pepper or chilli. In general, Maharashtra cuisine, whether it comes from the east or west, is considered fairly healthy and refined. There is little deep frying but rather more steaming and pan-cooking. Spices are used with a more restrained hand. One theme that unites most types of cuisines available in Mumbai is the strong vegetarian element. Whether it is the entire meal or just a few dishes, vegetables and all of its wonderful array of flavours and textures are found in every dining outlet. The complex culinary traditions in this vast nation may appear at first to divide the country, but enjoying delicious food is what unites most Indians. This rich history and the culinary traditions that have passed through the city left footprints behind. The prevailing Hindu influence is reflected in the many vegetarian restaurants and food outlets. Moghul cuisine is widely loved among Mumbaikars (residents of Mumbai) and a growing number of fine dining establishments specialise in Moghul dishes such as kebabs, biryani and slow-cooked rich curries. 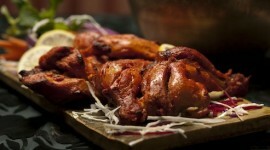 Many consider this to be one of the most refined Indian cuisines. 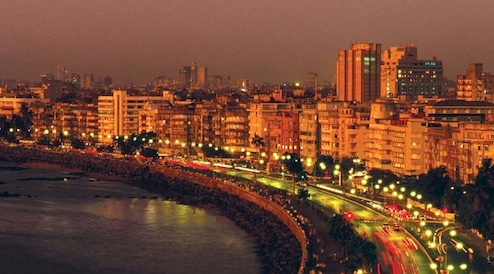 Mumbai’s culinary traditions extend further towards its numerous borders. From Goa, the pork vindaloo is popular, as is the spicy king fish curry. From the Konkan coastal cuisine, an abundance of seafood is available, including dishes such as pomfret fish in delicious orange curry. Eateries such as Trishna and Mahesh Lunch Home represent west Indian coastal fare and are renowned for their fresh seafood. From Gujarat, there is a range of sophisticated vegetarian meals with the best restaurants such as Thaker Bhojanalay guarding their recipes for over five decades. The city’s restaurant scene has changed dramatically since the early 1990s and thus far, fast-food outlets and street stalls dominate the dining options. While casual and street-side eateries number in the tens of thousands in Mumbai, mid-range and upscale restaurants are more limited. With India’s economic prosperity however, a new generation of restaurants and outlets catering to a growing number of white collar professionals has emerged – with a stylish setting, a solid wine list and innovative modern food that borrows elements from the local cuisine.